An ergonomically tuned moulded plastic chair with a perfectly defined profile. 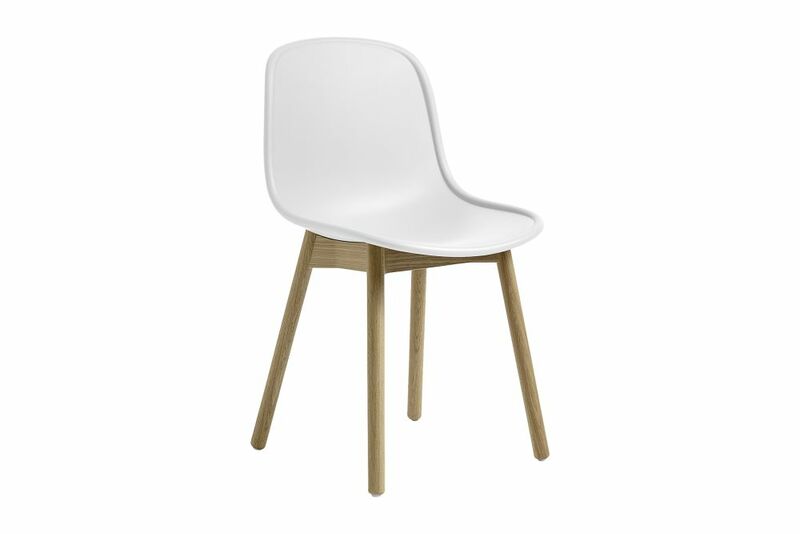 Available in six shell colours, with circular solid wood legs or a cast swivel base. The plastic itself has a very fine grain that lends texture to the piece, while the rim detail gives the design structure and character. The upholstered version has a delicate stitching line running across the seat, while a piping detail accentuates the chairs rim. Structurally robust, comfortable and flexible.